Heartland Community Church, established July 9, 1995, is a non-denominational church founded on the model given in scripture of a New Testament Church. Led by Pastor Kris Palmer, we strive to be a relational church family. Jesus taught that the highest virtues in terms of God’s Law are relational—to love God with all your heart, soul, mind and strength, and to love your neighbor as you love yourself. 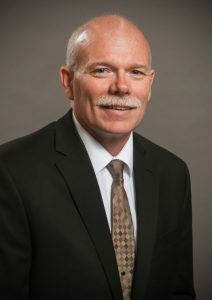 As the President of Heartland Christian College, Dr. Kris R. Palmer served in a leadership role at Heartland for many years alongside Pastor Charles Sharpe and other team members. Following the death of Pastor Charlie in 2017, Pastor Kris stepped in as the lead pastor of Heartland Community Church. He also continues in his role as President of the College. Pastor Kris and his wife, Martha, have made their home at Heartland since 2002. Martha is the Academic Dean of Heartland Christian College. Kris is a graduate of Atlanta High School, Truman State University, Liberty University, and holds a PhD from Lancaster Bible College in Pennsylvania. The Palmers are parents of four grown children and have eight grandchildren. Several members of their family are part of the Heartland community and church. Our vision is a Christ-centered, sustainable, intentional community of hope built around a vibrant local church, cultivating individual, family, community, and global transformation through the power of the Gospel. Our mission is to evangelize, encourage, educate, equip, and then activate mature disciples who have been called by God, redeemed by Jesus, and transformed by the Holy Spirit through a sustainable Christ-centered intentional community built around the local church.